Albert Chaudhury is 12 and has received a letter from his dad; his dead dad. He has to break into his old house to get a second letter. This letter tells him how to time travel back to 1984 to prevent his father’s tragic death in a go-kart accident. He has to do all of this whilst trying not to lose his precious hamster Alan Shearer and keeping it a secret from his granddad Byron, his mum, step-dad Steve and step-sister Carly. Does he cause an accident or does he save his dad? Does he lose his hamster? This book has a rollercoaster of emotions and it ends with a cliff-hanger. I would really like to read a sequel. 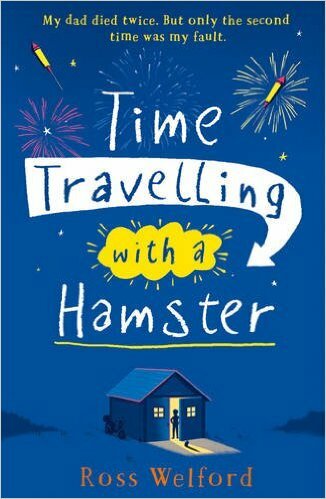 I recommend this book to ages 11+ as it has some inappropriate content for younger readers.